Do you know what it means to be slothful? It means sluggardly, lazy, idle, not working, not active, doing nothing. Being idle or lazy is another word for slothful. The Lord made an animal which Adam named sloth. Do you know why he named him sloth? A sloth moves very slowly and doesn’t travel far. There are two kinds of sloths, a two-toed sloth and a three-toed sloth. The two-toe is more brown and the three-toe is more grey. They live in trees, spending most of their time there. It is where they eat, sleep and hang around upside down. 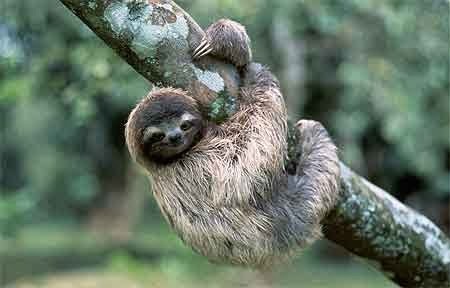 Most sloths pick a particular tree as their home and they do not leave it except to go down for short periods of time. They move fastest in trees. They give birth to their young in the tree and the baby hangs on to its mother until it is old enough to live on its own. 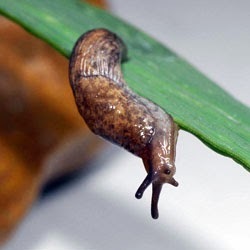 God made these mammals to eat leaves and flowers and move slowly. The leaves and flowers don’t give them much energy and take a long time to digest. They have a very slow metabolism and don’t receive much energy from their food, so they need to move slowly to conserve energy. They move so slowly that other organisms live in their fur. 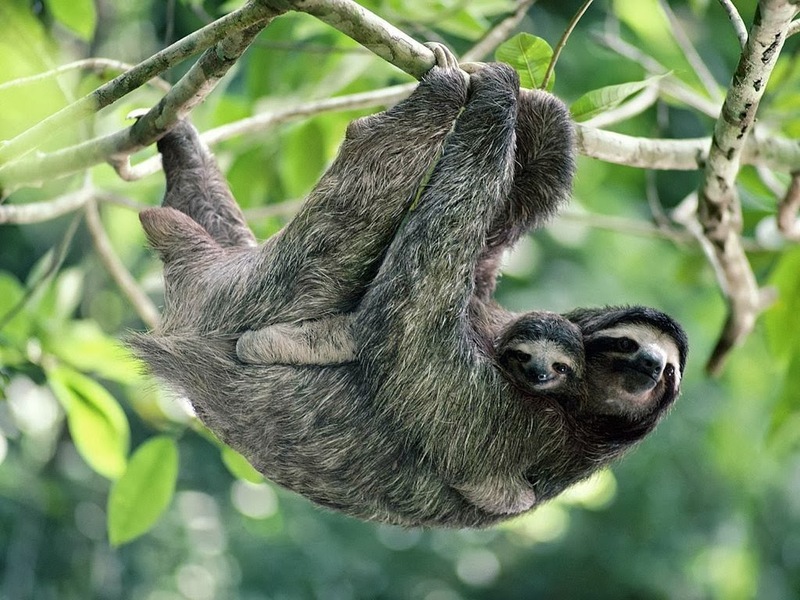 These organisms don’t hurt the sloth, but they use the sloth as a protective place to live. God planned that too. 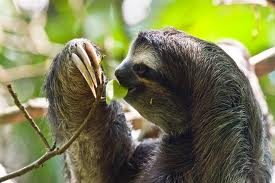 The slow sloth is a great place for these organisms to live. Sloths still have fun even though they don't move fast. Adam saw the sloth and how slowly it moved. He named it sloth. A sloth is a good picture of someone who is lazy. The person who is lazy spends more time sitting around than they do working. Sometimes our job or schoolwork causes us to sit for long periods of time. That is alright, because even though you are not moving much, you are still working. A lazy or slothful person just sits without working. Those are the ones who watch TV or read a book for hours when there is work to be done. There is nothing wrong with watching TV or reading a book if you are not neglecting people, chores, or work. The Bible cautions us about a slothful, idle, or lazy person. Sometimes the Bible calls that person a sluggard. Have you seen a slug? 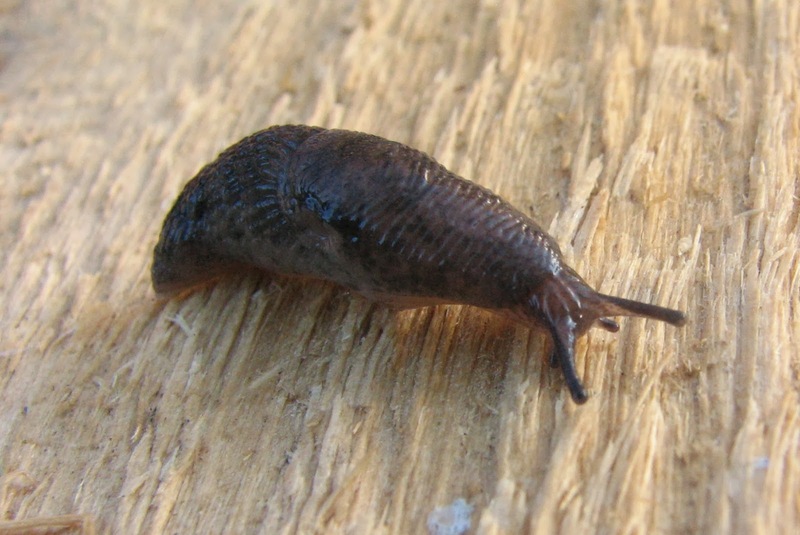 A slug also moves very slowly. I wonder which would win a race, the sloth or the slug. We need to make sure we are not a sluggard or a slothful, lazy person. Let’s work hard and function the way God made us. We need to live productive lives. Proverbs 18:9 He who is slothful in his work is a brother to him who is a great destroyer. Proverbs 13:4 The soul of a lazy man desires and has nothing. But the soul of the diligent shall be made rich. Proverbs 20:4 The lazy man will not plow because of the winter. He will beg during harvest and have nothing. Proverbs 15:19 The way of the lazy man is like a hedge of thorns, but the way of the upright is a highway. Proverbs 6:6-10 Go to the ant, you sluggard! Consider her ways and be wise. Which having no captain, overseer or ruler, provides her supplies in the summer and gathers her food in the harvest. How long will you slumber, O sluggard when will you rise from your sleep? A little sleep a little slumber a little folding of the hands to sleep. Memorize any or more of the verses listed above.